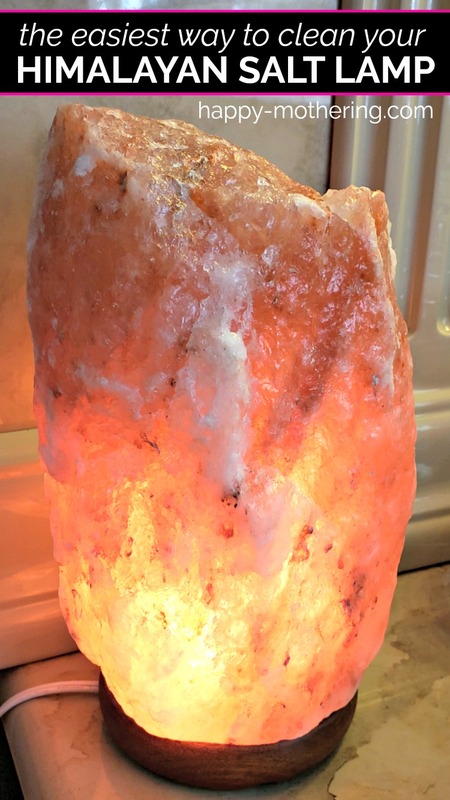 Have you noticed that your Himalayan Salt Lamp has gotten dirty, but you’re afraid to clean it? Not to worry, I’ll show you the easiest way to clean your Himalayan Salt Lamp. I love the glow of my Himalayan Salt Lamp by my bedside. I typically have it on all day long up until bedtime. I figure I can use any of the benefits of Himalayan Salt Lamps in my life. Since I’m typically in bed around 22 hours a day, I spend a lot of time with my salt lamp. I recently noticed that my Himalayan Salt Lamp had gotten dirty. It looked almost like it has collected all of the dust in the room and tried to soak it up in the salt. 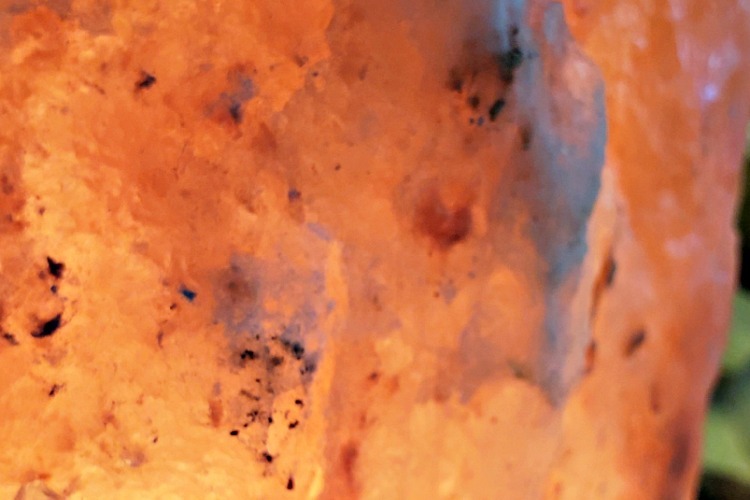 That makes sense since Himalayan Salt Lamps are supposed to reduce allergy symptoms. I wanted to clean it, but I wasn’t sure how. Did I use a cleanser? Just water? No liquid? Here’s what worked for me. Start by warming your Himalayan Salt Lamp up by turning on the light. The warmth will help it dry quickly as you clean it. You’ll want to use a clean, soft white cloth. I like white because you can see the dust and dirt that you’re removing and know once you’re removing salt instead of grime. Soak your clean, white cloth in warm water, then ring it out, but not too much. I didn’t want to melt the salt because I love my lamp, so I started with an area that wasn’t super visible. I recommend doing the same so that you can get a feel for cleaning your lamp. Start rubbing the dirty area with your white cloth, checking to see when what you’re rubbing starts coming out clean. That’s when you know you’ve made your way through the dirt and dust down into the salt. The salt really didn’t melt much at all, which surprised me. Having the lamp on and the salt warm is key. Continue cleaning the dirty areas of your salt lamp until you’ve cleaned the grime off of the entire thing. Now your Himalayan Salt Lamp can breathe again and you can continue to enjoy its many benefits. 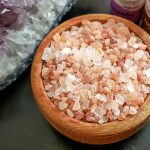 How often do you clean your Himalayan Salt Lamp? Mine definitely had stuff that took some scrubbing on it, but I’m curious to see how the air compressor works for you! Thanks for this post. I wanted to clean mine but was nervous about ruining it. Can’t wait to get it clean again. It’s amazing what a difference it makes!